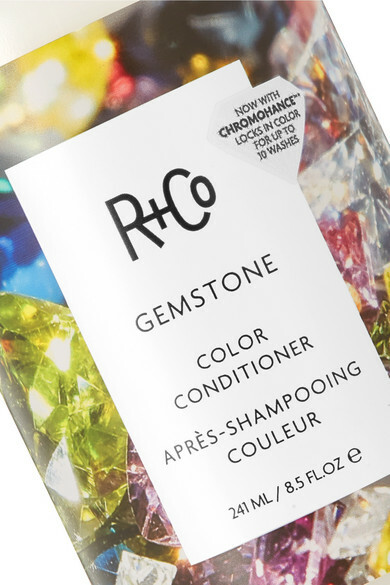 Color-treated hair is much more porous and prone to damage, so a hydrating conditioner, like R+Co's 'Gemstone', ensures strands won't fade or break. Hibiscus, Pea and Rice Extracts add shine and stop discoloration. It's heat protective, too - eliminating the need for styling products before you blow dry.